Resident Evil 2‘s new story trailer from the 2018 Tokyo Game Show makes Claire Redfield at the focal point. Other characters that make an appearance include Sherry Birkin, Ada Wong, and Leon S. Kennedy, but she is definitely the star. The trailer implies some issues with family dynamics and introduces us to a virus involved in this zombie outbreak. Take a look at Resident Evil 2. The trailer begins with Claire meeting a little girl named Sherry, who informs her that her mom works at Umbrella and her dad is “gone.” We get plenty of harsh and horrific cuts in this trailer, from flashes of infamously mutated William Birkin to those zombie dogs that haunt so many of us. In the trailer, no one knows (or dares to reveal) what caused the influx of zombies. This leaves Claire and Leon to work together to figure it out. We hear rumors that it can be traced to an underground lab. Meanwhile, Ada Wong takes the role of keeping everyone at arms length. We hear that the G-Virus plays a role, but all the details remain a mystery (to newcomers, at least). 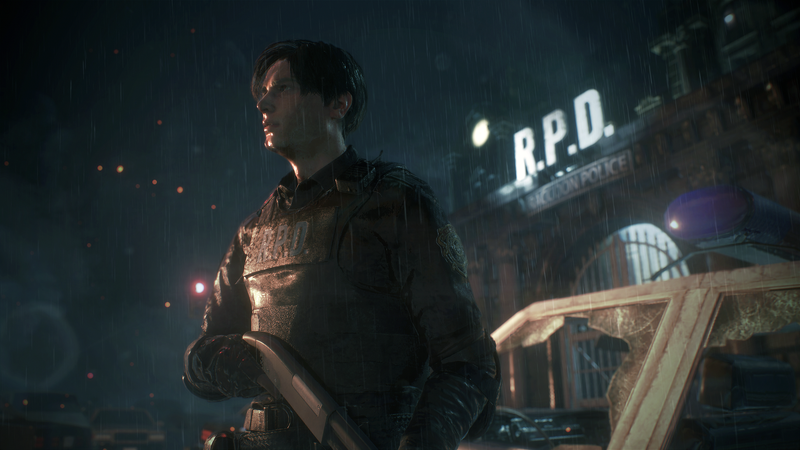 While those who played and remember the plot of Resident Evil 2 will experience fewer surprises, there will still be some changes to the story and gameplay to keep things fresh for returning fans. Be sure to check out our E3 2018 hands-on preview of Resident Evil 2 to prepare for the game’s release on January 25, 2019 for the PlayStation 4, Xbox One, and PC.